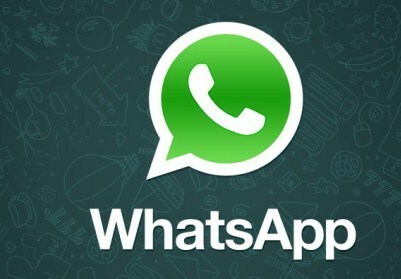 Home / Technology / WhatsApp / WhatsApp added a new feature "Starred Messages"
WhatsApp added a new feature "Starred Messages"
WhatsApp has rolled out a new feature called 'Starred' messages that will now let you star a message for reference later on, similar to bookmarks in emails. While the popular messaging app has a search option, this new feature will be extremely useful while finding a particular message can be difficult.WhatsApp continues to add new functionality and test new features to improve the overall experience. WhatsApp does have a search function, but it may not be the most convenient way to find a specific message.Starred messages can be a great alternative, allowing users to find specific messages faster and more easily. With the option to star one or multiple messages, users can basically bookmark the important information so they can quickly find it later without having to look through a slew of messages, especially if you don't really remember the exact words used. It seems like a small feature, but its usefulness makes it odd that it hasn't been an option so far. Even now, this feature rolls out only in beta for Android users, which means that the main app for all users has yet to receive the update with starred messages. How to get this feature ,first of all WhatsApp 2.12.339 is now in BETA phase and it can be downloaded from the internet, we suggest you to save the WhatsApp 2.12.339 APK file from the official WhatsApp website (whatsapp.com/android). Recently, WhatsApp for iPhone received an update that added the feature to the app allowing users running iOS 9.1 and above to quick reply via notification centre. The feature allowed users to reply to any notification that popped up on the device right from the Notification Centre without opening the app.